Fixing the Broken Model: Innovation Matters! 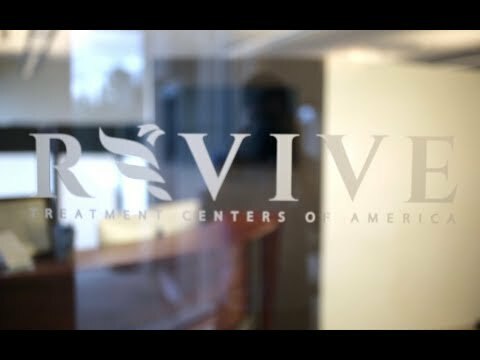 Over the past fifty years, while the environment of Veteran care has not changed and the clinical office has been remarkably stagnant in function, we at Revive Treatment Centers are utilizing the latest in technology and research to formulate a new standard of care. We are actively developing and researching new therapies to assist the ever-changing needs of our military population and are currently developing relationships with many organizations to help assist Veterans with reintegration. Revive Treatment Centers has an integrated approach to healthcare and treating our Veteran community, with a team of doctors dedicated to the special needs and concerns that come with serving this community. We take a whole body approach to ensure that no stone is left unturned whether it be advanced imaging, blood work, or diagnostic testing. The goal of Revive Treatment Centers is to promote health and vitality in each patient. Practitioners examine each patient’s lifestyle and unique neurological and biochemical factors to identify the underlying causes of their condition and find treatments that help return patients to optimal function. FDA approved medical devices to treat major depression and anxiety disorders as well as PTSD. FDA approved medical devices to treat altitude sickness and anemias but has also shown great improvements in patients with TBI, increasing stem cell regulation, wound healing as well as decreasing depression and anxiety. FDA approved medical devices to treat chronic pain, post-traumatic pain, post-surgical pain, increase circulation, prevent muscle atrophy and increase the range of motion. We have a team of dedicated military and civilian personnel with 24+ years of military service and 20+ years serving Veterans and their families. Our team encompasses physicians from all walks of healthcare including neurologist, neuropathologist, neurosurgeons, interventional neurologist, functional neurologist, clinical neuroscientists, family practitioners, chiropractors and medical support team. Patients fill out intake forms and submit them at the time appointments are confirmed. cognitive testing, anxiety and depression scale, and examination. Doctors and patient discuss a detailed report of clinical findings. Treatment plans are developed by the team of doctors and medical providers assigned to each patient and then discussed with the patient. Plans are designed for two weeks and include 30-45 hours of therapies. The treatment will be specifically based on your diagnostics and report of findings during your consult with the provider. Treatment plans and dynamic will be modified over the length of stay.